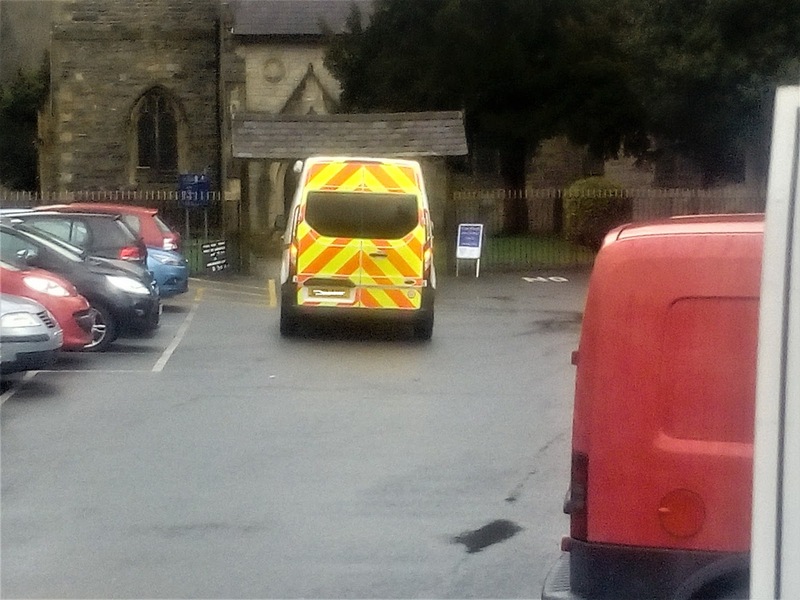 * A police vehicle on the community hall car park. Posts on Facebook this morning say that one or perhaps more cars were broken into on the Community Hall car park yesterday (Tuesday) evening. One said: "Car broken into tonight between 7pm and 10pm at St Collen's community hall car park, the police have been informed but if anyone has seen anything please let us at the hall or the police know." A police van was in the car park this morning as a scenes of crime officer examined one of the cars parked there.